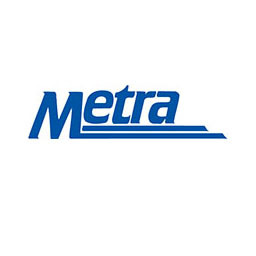 Illinois commuter carrier Metra, in conjunction with Operation Lifesaver, has embarked on a series of educational safety blitzes to raise awareness of the importance of safe behavior around its trains and tracks. The carrier reported in a March 26 news release that the state of Illinois ranked second in the nation in rail fatalities at highway-rail crossings and fifth in the nation in trespassing fatalities. Last year, 47 people were killed and 51 more were injured in Illinois in incidents at grade crossings or along railroad rights-of-way. Fourteen of the state’s fatalities involved Metra trains, with six occurring at rail crossings. The fatality statistics do not include deaths ruled as suicides or suspected suicides, the carrier said. “These safety blitzes allow us to reach our customers directly to ensure that they understand the need to stay vigilant about safety around the railroad,” Metra CEO/Executive Director Jim Derwinski said. The blitzes began in mid-February, and a complete schedule is available here. The carrier said that its Police Department will also conduct additional enforcement blitzes throughout the region’s six counties and 242 Metra stations. During the enforcement blitzes, citations and warnings will be issued to pedestrians and drivers who ignore gates and warning devices. Metra also is considering a draft policy that would evaluate station use and is seeking public input, the suburban Daily Herald newspaper reported. The plan is open for public comment until April 15 and seeks to measure the use and sustainability of the transit system’s stations in relation to ridership. Most stations labeled as “unsustainable” with less than 10 percent median ridership are on Metra’s Electric Line, but others include Rosemont and Schiller Park on the North Central Service, Mannheim on the Milwaukee District West, and Kedzie on the Union Pacific West, the Daily Herald reports. The carrier will use the information to make potential changes to improve ridership in the underused stations or in the worst cases make decisions to close stations and create new access points to the system.